Signing Day is here and the Bulldogs should once again sign one of the top classes in the country. 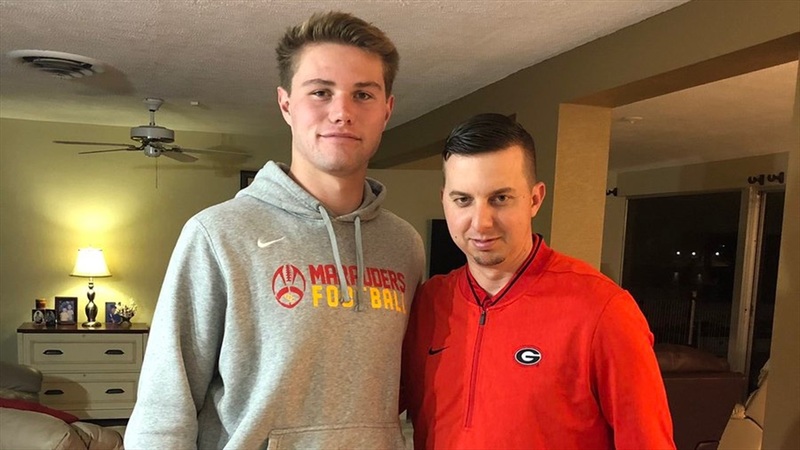 It appears the prospect Georgia has the best chance to land on Wednesday is tight end Brett Seither‍. The Clearwater (FL) native is down to Georgia and Alabama and some sources feel Alabama is currently the team to beat. New TEs coach Todd Hartley has put Georgia in a really good spot, so Seither signing with Georgia is still a possibility. This is a very close battle that could go any way at this point. Sources in Florida remain confident that the Gators will land four-star cornerback Kaiir Elam‍ tomorrow. Like Seither’s recruitment, many sources continue to say that this is a close battle heading into Wednesday. Elam has a very good relationship with the Georgia staff, but Dawg Post feels Elam will sign with Florida. Dawg Post feels that Georgia was a serious contender for five-star receiver George Pickens, but believe Auburn will be his final landing spot. Pickens has a close relationship with Auburn quarterback signee Bo Nix, and most feel that Pickens will stay committed and sign with the Tigers. It’s looking like a Penn State-Florida State battle in the end for four-star DB Nick Cross. The Georgia staff did all they could to stay in the race after the departure of Mel Tucker to Colorado, but sources say the Bulldogs will not be the pick for Cross in the end. The Georgia staff made a late push for Ole Miss commit Jonathan Mingo, but Dawg Post believes he will sign with the Rebels on Wednesday. While the Bulldogs might not have the finish that fans would like to see, this is one of the country’s best classes and is led by the nation’s top prospect, OLB Nolan Smith‍. Look for the Bulldogs to push for some grad-transfers as well to build depth and bring some experience to the wide receiver and tight end positions.